Note: Article updated for 2018. Alloy wheels are perhaps the most difficult part of a car to clean. They’re so close to the ground and pick up dirt, grease and tar as you drive along. And they get constantly pelted with tiny, hot specks of brake dust which embeds itself into the metal finish. These tiny iron fragments can be corrosive if left there, and the tough dirt crust is difficult to remove with car shampoo and a sponge. Especially if the alloy wheels have intricate designs, lots of spokes or nooks and crannies where dirt and brake dust can build up. The best way to get them sparkling again is to use a proper alloy wheel cleaner. These products work by both removing grime and grease and loosening the brake dust so it can be rinsed off. 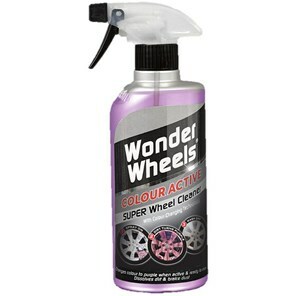 Originally, many alloy wheel cleaners were acid-based. This dissolved the brake dust particles well but, also meant that they weren’t suitable for all wheel types. 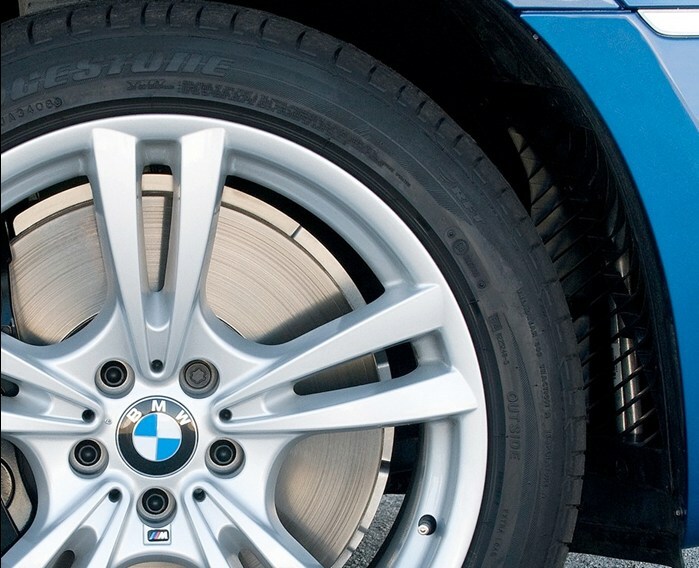 Acid cleaners risk damaging the alloy wheel’s finish, and the same is true of the caustic or alkaline alloy cleaners. However, newer products are called pH neutral or ‘purple’ cleaners and don’t contain any acid. These products contain an active ingredient that reacts with the iron particles in brake dust, loosening the fragment from the wheel. The formula turns a red or purple colour in the process. First, ensure your wheels are cool to the touch – you shouldn’t apply cleaning product to hot wheels. If your alloys are very dirty, rinse them first with a hose. You should also apply this cleaner outside rather than in a garage – many products have strong-smelling fumes. Spray the alloy wheel cleaner liberally all over the wheel. Leave as long as the instructions state, which is usually five minutes. The colour will change from clear or white to a red or purple colour as it works. If your wheels are very dirty or have a thick layer of brake dust, use a brush to gently rub the cleaner into the wheel surface. Now rinse the wheel thoroughly. You can use a hose, or many products recommend using a pressure washer for the best clean. 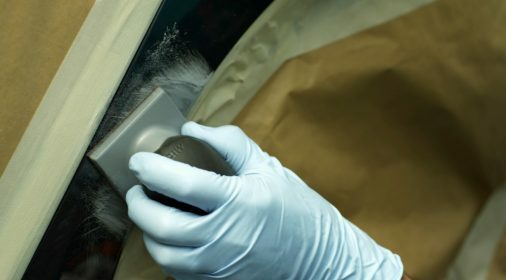 If any stains or marks remain, reapply the cleaner and rub with a brush. 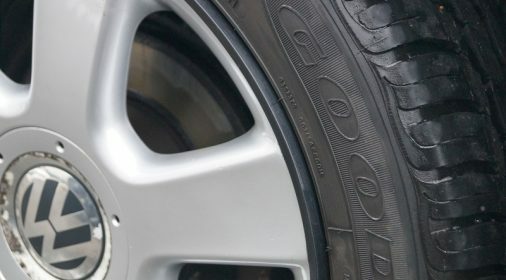 Here’s a review of four of the best pH neutral alloy wheel cleaners available in the UK. 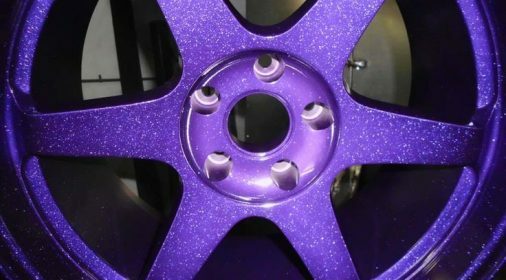 Auto-Wheel is non-acid and non-alkaline, making it safe to use on all kinds of wheels including alloy, aluminium and steel. It was one of the first pH neutral solutions and still provides a great clean. It has a fairly strong rotten-egg smell but it is partially masked by a fruity scent. but that is common among ‘purple’ cleaners. Leave the alloy cleaner on for five minutes and jet wash or hose it off and the wheels should be clean, but you can use the included wheel brush to get rid of more stubborn stains. This acid-free alloy wheel cleaner is suitable for all wheel types, including more delicate chrome, unlacquered and anodised wheels. Like the other cleaners, simply spray it onto the wheel and leave for five minutes before washing off. It says there is no need to brush, but some brushing will help get the wheel squeaky clean. Like the other products, it does have an unpleasant smell so make sure you apply it outdoors. 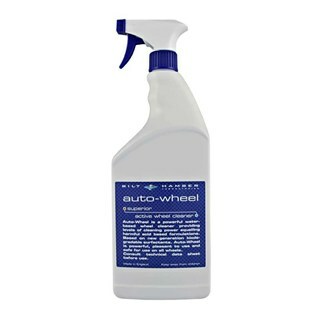 This newer pH neutral alloy wheel cleaner is a good quality, thick product that clings well to the wheel surface. It takes just five minutes to work and changes colour as it reacts with the iron, so you know it’s working. 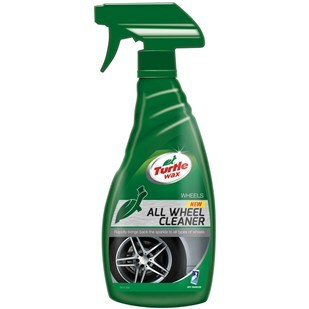 Turtle Wax also recommends that you agitate the product into the wheel with a brush before washing off for best results. It can be used on steel, alloy and plastic wheels. This recently launched pH neutral formula from Black Diamond is very quick to work, needing just a couple of minutes before being washed off. It also contains an ‘odour-neutralising’ fragrance that helps mitigate the rotten-egg smell by masking it with a minty scent. 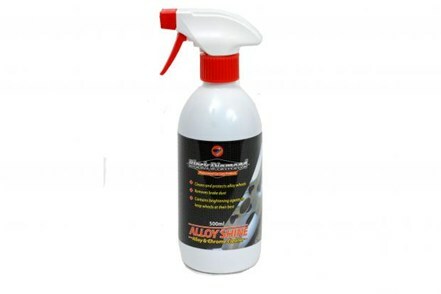 These alloy wheel cleaners should help get your wheels looking shiny and new. But what if cleaning them has exposed damage like scrapes and kerb scuffs? 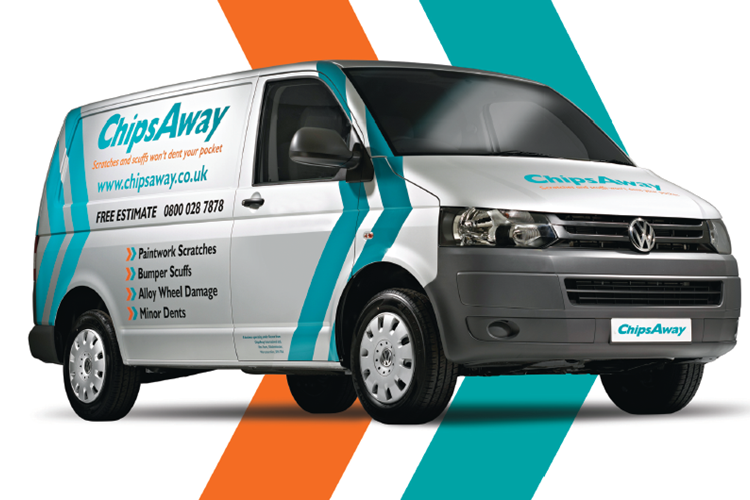 Professional alloy wheel repair from ChipsAway can return your alloys to a smooth and perfect finish with our colour-matching technology. Get a no-obligation free repair estimate online today.